The full impact of bank accounts getting blocked due to non-compliance with the Foreign Account Tax Compliance Act (FATCA) will be known on Tuesday or Wednesday, said a banker in a government-owned bank. This would only be after banks across the country commence functioning on May 2 after the May Day holiday on Monday. 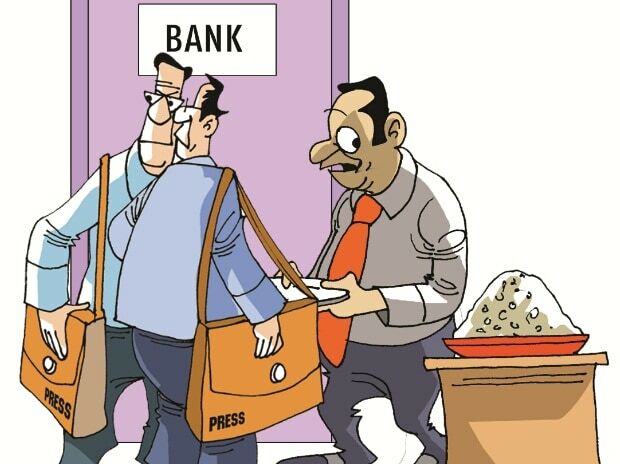 "Today (Monday) is a holiday in some states due to May Day and the headquarters of most of the banks are located in those states," he told IANS preferring anonymity. According to him, whether the bank's software would automatically block a FATCA non-compliant account or it has to be done manually would be known on Tuesday. Another banker with a government bank said the bank's software does not automatically block a non-compliant account. "We are waiting for instructions," he added. The Central Board of Direct Taxes (CBDT), in a statement issued earlier, had said account holders of banks, mutual funds and National Pension Schemes (NPS) would have to be informed that their accounts would be blocked if self-certifications were not submitted by April 30, 2017. In other words, a bank account holder or a mutual fund investor will not be able to operate their accounts like withdrawals, selling of units and the like. "FATCA is a unique piece of legislation enacted in the US which requires financial institutions (FIs) to provide information about account holders who are US persons to the Internal Revenue Service (IRS)." "Non-compliant FIs are liable to a punitive withholding tax of 30 per cent of their US sourced income," Rahul Jain, Partner, Nangia and Co, an international tax advisory and accounting firm, told IANS. "The agreement is reciprocal in nature and allows for India to receive tax information in respect of its own residents," he said. "The FATCA agreement will, therefore, allow for exchange of information between the two countries and will help considerably in detection of unaccounted money held by US persons in India and vice versa," he added. Under Indian Income Tax rules, financial institutions have to obtain self-certification and carry out due diligence in respect of all individual and entity accounts opened between July 1, 2014, and August 31, 2015. The last date for submission of self-certification ended on April 30, 2017. Jain said the FATCA agreement can have serious implications for Non-Resident Indians (NRIs) who qualify to be US persons. "Such NRIs need to be mindful that the accounts they hold in India with Indian FIs are duly reported in the US. The information concerning these accounts will now be shared with the IRS and any non-reporting may entail serious consequences for the NRIs under the US tax regulations," he added. Indian resident taxpayers holding assets in the US will also be impacted. The agreement with the US is reciprocal and will result in the US providing India with information regarding accounts or assets held by Indian persons in the US. This information would provide more teeth to the Indian tax authorities in detecting assets held by Indian taxpayers in the US. Together with the Black Money Law 2015, this could have serious ramifications for Indian residents who may not have reported such assets to the Indian tax authorities, Jain said. According to Jain, any organisation or individual who has not been able to submit its or his FATCA self-declaration by the deadline of April 30 could make such declaration now and ask for his account with the Indian FI to be unblocked or de-frozen. "While mutual funds have asked the investors to subject the self-certification form online, the problem may be for NPS account holders who have to go to the registrar office personally," Jayant Pai, Head-Marketing, PPFAS Mutual Fund, told IANS. "We have reached out to our investors well in advance to be FATCA-compliant and there will not be much impact on our investors. On the other hand, banks and large mutual funds may face some problems going by the sheer size of their numbers," Pai added. "Mutual Funds will continue to earn their fund management charges even if an account is blocked," he added.